Would you like to see your photo on CyberAngler? Post your fishing photos in our Photo Gallery. We select the best photos to appear on CyberAngler's cover page. If you would like to submit an article for review and possible inclusion on CyberAngler, please take a look at our submission guidelines. Submit your entry to our recently updated Find-a-Guide section - a searchable charter boat & fishing guide directory. Basic listings are FREE. Submit your listing here. Join our Fishing Report Team of guides & captains. Participation in CyberAngler's Fishing Report Section is FREE and great why to showcase your guide or charter service, as well as your talents. Click here to join our team of reporters on the World's Best Internet Fishing Report site - established 1997. Check out our improved Weather for Fishermen section. The updated section includes two new utilities: improved Tide Predictions and enhanced Coastal Marine Forecasts. There are also links to buoy observations and radar, satellite and sea surface temperature imagery. Don't forget to bookmark the page! 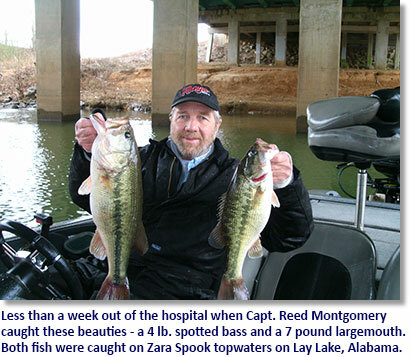 Get the news out about your fishing tournament. CyberAngler's automated Tournament Calendar. is now ranked #1 on Google. Post your tournament's details for FREE. Click here to submit your fishing tournament.